Whilst politically, relations between Russia and the West have never been cosy, Russia has benefitted by attracting international investor capital, particularly through allocations to emerging market indices where it is a constituent member. Last week, Russia was the best performing country amongst those within the leading emerging market index. A resilient oil price, subdued inflation and an improving economic outlook supported those investors prepared to ignore the risks of further sanctions against Russia and arguably the questionable rights of investors investing in Russian businesses. Note on oil price: Trump continues his regular tweets, this week vowing “to shoot down any and all missiles fired at Syria. Get ready Russia, because they will be coming, nice and new and ‘Smart!’!”. Concerns of conflict in the Middle east and growing tensions between the US and Russia caused Brent crude to rise by more than $2 a barrel to $73.09, increasing 9% in the past three days. However, toward the end of last week, on Friday, the US placed additional sanctions on Russia in response to a series of unethical actions carried out in recent months. 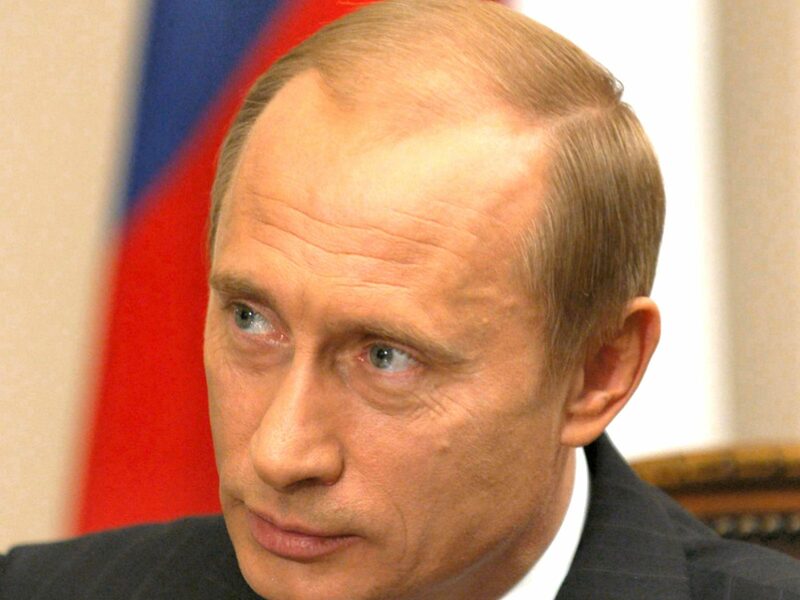 Sanctions were placed on 7 Oligarchs, 12 businesses and 17 government officials. They were all put on the Treasury’s Specially Designated Nationals (SDN) list, freezing their US assets and forbidding US individuals and companies from doing business with them. In 2014, the US and the European Union imposed sanctions on the back of pro-Russian insurgents taking control of parts of eastern Ukraine. Major Russian firms became locked out of global capital markets and were forced to repay external debts. 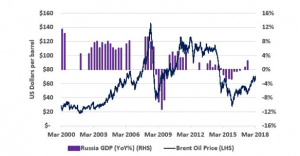 That caused pain at the time – resulting in slower growth and a weaker rouble. 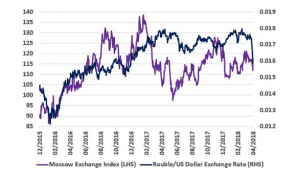 In recent days the rouble has weakened 8.0% against the dollar and the country’s stock market is experiencing a sharp pull back as investors reappraise the risks. Source: Bloomberg, 12 April 2018. Russia’s strength emanates from their oil and gas resources, with the country sitting atop the planet’s eighth largest reserves. With this edge they have a grip on parts of Europe where they are major gas suppliers and on other key stakeholders who rely on Russia to satisfy their demand for oil.